Modern email hosting plans designed for businesses that cannot or simply do not want to spend their precious time and resources on setting up and managing an internal messaging infrastructure. This is very understandable because the continued maintenance and support can raise costs and also greatly increase the probability of virus infections, hardware and software problems. All of these issues could leave your business without email functionality for hours and possibly days. What You Need to Look For? Email is such a prevalent method of communication that it can easily get out of hand over time. If you are no longer able to control your messaging infrastructure from within, it might be time to consider another email hosting. There are many benefits to outsourcing your messaging needs to a professional hosting company. This article will go over some of the most significant ones. When signing up a for an email hosting account, you typically get a robust amount of storage for each mailbox created. Some give you MB of storage, others give you GB per mailbox. All tend to provide you with more than enough to efficiently store tens of thousands of messages. A more flexible solution will allow you to easily upgrade as your storage needs increase. A quality email hosting solution blocks potentially harmful mail before it even enters the network. Anti-virus scanners are usually integrated into the host’s SMTP gateways while spam is dealt with in numerous ways. A company that truly wants to help keep spam out your life will employ filtering methods such as blacklisting, whitelisting and greylisting, and allow you to make configurations that automatically sends it to a quarantine folder instead of your inbox. The Address Book is a very useful feature in many email clients as it provides the user with a convenient way to store contact data for easy retrieval and use. Most email hosts offer both a private and shared address book, along with access to public network directory services. In many cases, the shared address book can be used with any mail client that supports LDAP directory services. Email hosting providers generally equip their mail servers with industry standard 128-bit encryption, which is active during the entire webmail session. This essentially means that any data sent to and from the server is encrypted from the moment you sign in, until the moment you sign out. With this proven security protocol, you can ensure that your sensitive messages will not be intercepted or compromised in any way. Businesses are increasingly opting for email hosting solutions because they enable secure access to desktop email clients through IMAP or POP. All email traffic is encrypted, including user names and passwords sent from the email client to the mail server for authentication. The best hosting providers support all the popular mail clients such as Microsoft Outlook and Outlook Express, Eudora, Mozilla Thunderbird and Apple Mail. Some even offer support for Linux and BSD clients as well as PDAs and pocket PCs. Whether you prefer to manage your mail on or offline, an email hosting plan can ensure that is done in an efficient and secure manner. Before we dig deeper, let’s talk about the technology behind emailing. SMTP is short for Simple Mail Transfer Protocol and is a type of outgoing mail server. Due to the difficulty with maintenance, most web hosting providers do not offer access to simple mail transfer protocols. Also, they can be extremely difficult to defend against hackers and malicious users. Many web hosting companies are also trying to cut corners to save money so SMTP is one of the first areas to eliminate. The most common email systems can be broken down into two functions: SMTP & POP3. When combined, these two protocols allow users to send and receive email messages across the internet. SMTP performs the functions necessary to send a message from one point or address to another. As a user is sending a message, SMTP confirms that the sender has the right to do so. Then the system sends the outgoing message. If the mail is undeliverable, SMTP sends an email back to the sender notifying them of the failure. The majority of email systems utilize SMTP to send messages between servers. POP3 or IMAP platforms are then used to retrieve those send messages on the other end. SMTP is also used to send email messages from a mail client to a mail server. These are the reasons for specifying the SMTP and POP3 or IMAP servers when configuring your email client. Configuring the application correctly will identify which SMTP server is being used for sending outgoing messages and which POP3 or IMAP server is used for receiving messages. To complete this task properly, give your email client access to the SMTP server by stating your IP address. The user never sees any of these transactions as they are all behind the scenes. 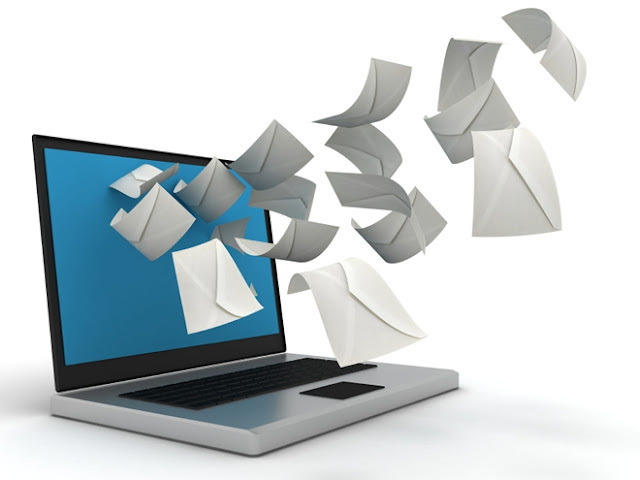 The user simply clicks the send button or opens the email and the transfer is complete. With the emergence of IMAP email system technology, SMTP may not be necessary in some cases as it handles both sending and receiving of email messages. Like POP3, SMTP has been around for quite awhile, specifically since the mid 1980’s. As technology is improving, the need for these types of systems may be diminishing and making way for one that completes all tasks. For instance, the IMAP technology is implementing aspects of POP3 and SMTP and combining them into one easy-to-use package. The concept behind SMTP working in conjunction with POP3 is simple: one sends the messages and one receives them. Although the mechanics in the coding of these systems can be complex, it makes life much easier for those using an email client. There are many advantages that make the POP3 email platform attractive. This is the most common and popular email platform. However, it needs to be updated in order to keep pace with ever-increasing technology. Additionally, email folders can sometimes become corrupt and lost along with all the emails in that folder. Recovery can be an arduous task and may not always be an option. Furthermore, since POP3 uses your local hard drive to store messages, your privacy disappears when someone sits down at your computer. Even if the email reader contains a password, an individual that knows what they are doing can find other ways to access these folders and read your emails. Also, your locally stored email files are subject to viruses that may be embedded in your machine by other means. Using an effective virus scanner will help with this issue but is only effective on 60 percent of emails being sent to other recipients. Additionally, after a while, these emails will collect (if not properly maintained) and begin to eat up valuable system resources like storage space. Finally, the POP3 email system is set to download attachments one at a time. Therefore, messages sent with large files can take a great deal of time to download resulting in an unmanageable, counterproductive system. Utilizing mobile devices and dialup connections can cause even greater frustration and difficulty. Despite the many advantages developed over the years, the disadvantages seem to have gone overlooked. Therefore, POP3 needs a vast update or overhaul in order to keep up with the demands of modern technology. There are other platforms in the works that will fix the shortcomings of the POP3 email platform. Sending information online has never been more dangerous, especially in today’s high tech society and economical situation. The internet is full of hackers and criminals that are looking to make a quick buck on the backs of other individuals. Those who conduct eCommerce, both buyers and sellers, are victimized by these malicious characters on a daily basis. The primary cause of online bank fraud, identity theft and other criminal occurrences, is the insecure transmittal of data. For this reason there have been security protocols developed that dictate the limitations and procedures associated with sending and receiving important financial data online. Unfortunately, these protocols do not always work, however they do deter about 90% of hackers in most cases. These file transfer protocols usually apply to the checkout process, but many online business owners forget to take the same precautions with their email practices. A lot of sensitive information is sent via email, including addresses, phone numbers, names, and even financial data such as receipts, order confirmation numbers, and other details about confidential transactions. If a third-party were to get a hold of this information, the possibilities in which they could use such data are seemingly limitless. To keep your customers protected you need to make sure your email sending procedures are completely secured in all instances. Emails are secured with by using encryption services which scatter the data that is being sent, so that if it were to be intercepted during transmission, it would be useless to the interceptor. Once the information reaches the receiver, it is then decoded into it’s original legible state. The encryption is conducted via the use of mathematical formulas that scramble data automatically and then use a key to reassemble the data once it reaches it’s destination. Using secure email practices not only protects your customer from real threats, it also gives them the confidence to deal with you even if there are no actual threats being posed. In online business., there are two factors that hold precedence over everything else – convenience and trust. If your customer’s cannot trust you then they will take their business somewhere else. To build trust you will need to employ a variety of security measures, however just employing these measures is not going to give your customers the confidence needed to deal with you on a regular basis. You need to make sure your site visitors know what precautions you are taken, in order for these precautions to have an effect on the end users confidence levels. Thus, making your customers aware of your email security precautions is critical towards the reputability of your online business, regardless of the industry or sub-industry you’re in.